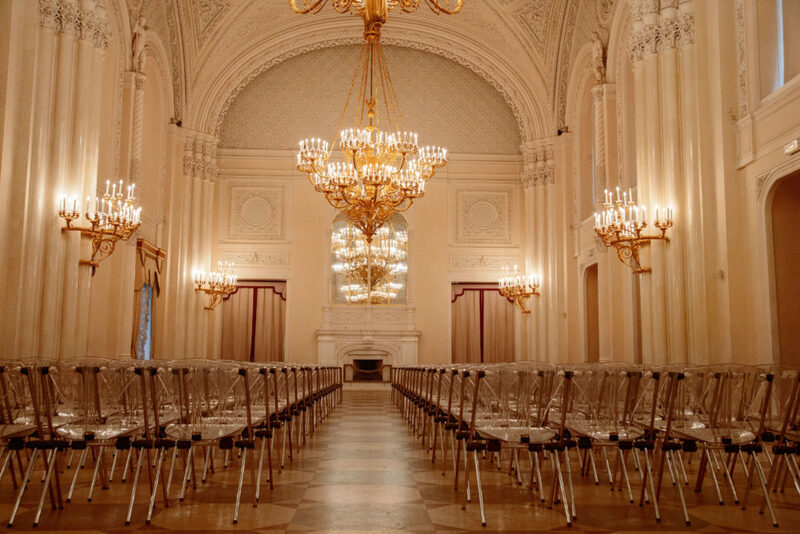 Almost next to the famous Hermitage Museum is situated another grand structure, where “Russian Music Seasons” are happy to invite you – The Marble Palace. 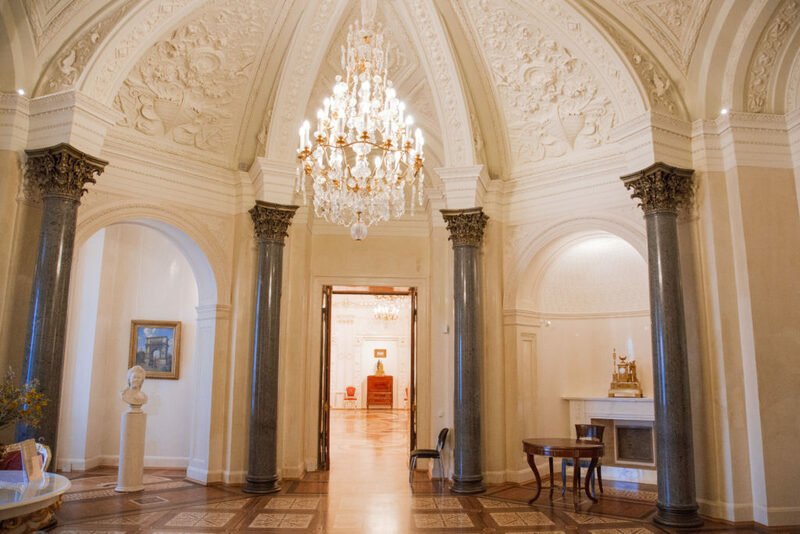 Visiting interesting museums in St. Petersburg is not complete without visiting the Marble Palace. The name itself tells us about the material used in its construction. Many different varieties of marble were delivered for the construction of various domestic fields, and some even from Italy. Perhaps it was the reason for such a long period of construction (about seventeen years). Initially, at the request of the Empress Catherine, erected residence was intended as a gift “for special merits” to her favorite Count Orlov. Unfortunately, the Count died, and could not see the promised gift. Later the queen gave the mansion to Duke Konstantin Romanov (her grandson). 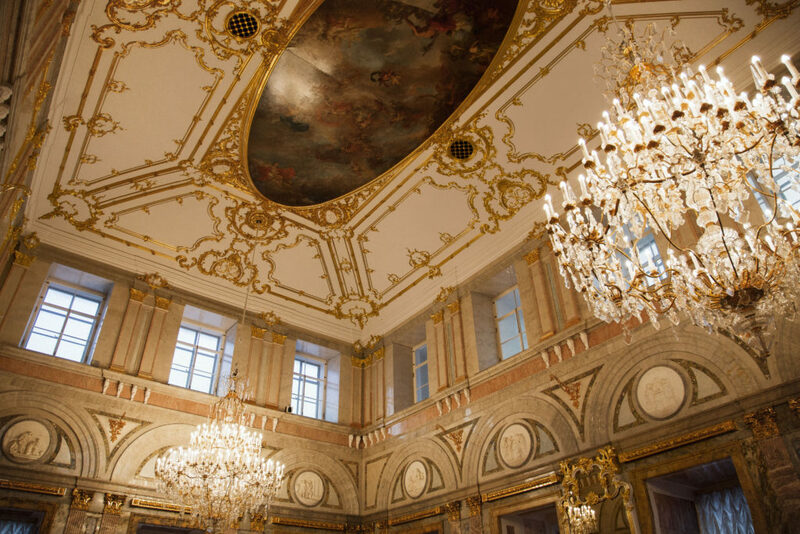 During his ownership, the reconstruction of the interior of the Palace was carried out. He added one more floor and designed a grandiose hall for social events, dinners and breathtaking balls. Sometimes poetic and theatrical evenings were organized there. The magnificence of the interiors impresses with its luxurious. In the Marble Palace you can take impressive photos. Each piece of decoration is a model of perfection and elegance. 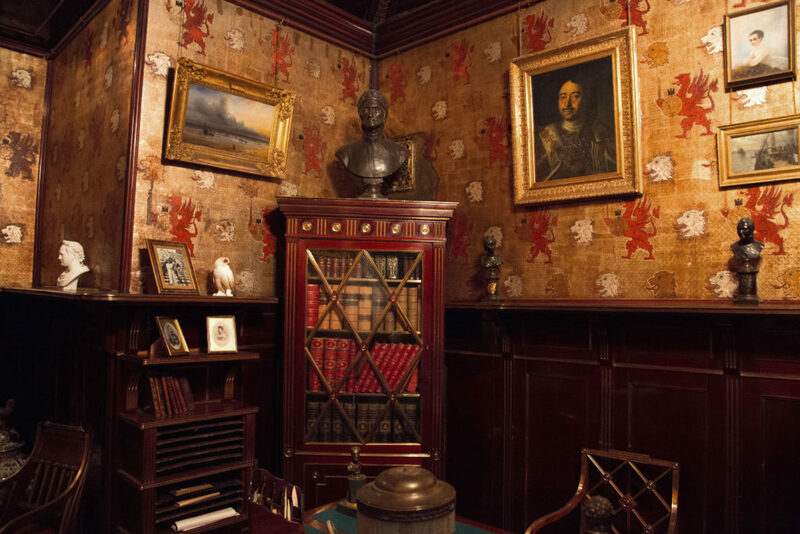 According to the idea of creators, the material itself had to carry the spirit of courage, bravery and tenacity of the alleged owner of the mansion. 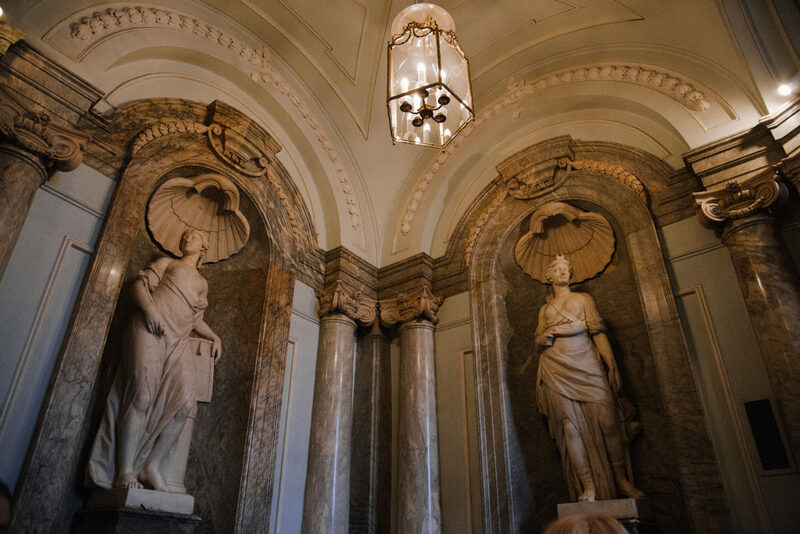 Russian Museum — the Marble Palace in St. Petersburg always impresses the visitors! It is certainly worth visiting place in St. Petersburg.